1. Letters of Rec Make up About 10% of the Decision. Within the process, the typical way in which a letter of recommendation is utilized by an admissions officer is as a verification tool. A reader will sit down to review a file (in much less time than you think, by the way) and typically work through the “one sheet” (name, biographical data, test scores, undergrad, major, GPA, age, etc.) so they can get the basics. This frames the expectation going in and is why some of these data points become obsessed over. A low GMAT tells the reader “long shot” (and that’s the best case scenario). An extreme age makes them extra sensitive to the appropriateness of the degree. There are a lot of ways the perception can be framed at this very initial stage, and while nobody’s mind is made up yet, there is definitely an influence on the way the file is read. Next, it’s the application itself (transcripts are usually skipped or skimmed unless there is something to investigate, like a really low GPA next to a monster GMAT score), which is very quick. The resume brings to life work experience in a snapshot, which is why you must always construct your resume as a sales tool. Now, the reader has a much better sense of how qualified this applicant is, how well this person has done professionally, and so forth – the reader can probably prognosticate admissions chances with about 60% accuracy at this point. The essays are where the variance kicks in. Some who look good on paper will blow it, by either failing to articulate proper reasons for the degree, or writing bland content that they think is what someone wants to read, or for failing to really connect to the school in question. Others will rise far above the initial impression with “great” essays (that do accomplish the things above). Once the essays are completed, the reader is about 90% of the way there and more or less has decided. The only thing left is to check the recommendation letters to make sure that other people – people who know the applicant better – concur with the assessment. Again, we want to stress that this is about validating an already-formed opinion. If you were an experienced professional who prided yourself on bringing in a great class of students every year and you know what works and what doesn’t, are you going to cede the power of making the decision to someone writing a letter? Of course not, so unless it is an extreme case (like Stanford, where far more stated importance is put on letters of recommendation), you can assume that your letters will account for about 10% of the ultimate decision. Good letters will help affirm a reader’s decision to “admit” (note: this just means you will get an interview invite at this point, but within admissions offices they flag people as admits until they are demoted down to wait list or deny), is basically what it comes down to. 2. You Should Spend About 10% of Your Time on Letters of Rec. The second Rule of 10% is how much time you should be spending on the letter of recommendation – and 10% might be generous. This is a letter written by someone else, after all. How much time should it really take you? Not much! Note though that we did not say 0% of your time. You do need to take some steps to set your recommender up for success rather than failure. First, you should indeed sit down with the person writing your letter and talk to that individual. Thank them for taking the time, solicit their advice on schools and even whether now is the right time (even if you are just doing it to make them feel valued), buy them a cup of coffee – whatever you do, make it personal and don’t just email them a one-liner asking them to write you a letter of recommendation. You should also state clearly what you are asking them to do, which is recommend you. This is not a performance evaluation. Ask the person in question whether he or she is comfortable recommending you wholeheartedly to business school. Avoid anyone who caveats the answer or who seems intent on performing a rigorous exercise just to prove how smart they are. You want someone who is excited to help your chances by extolling your virtues. Finally, you should provide your recommender with some ammunition. This is admittedly a tricky area, because you neither want to influence the letter too much, nor do you want to overwhelm the recommender with reams of documents that they have to sort through. Our advice is to give them three items: your resume, a “query letter” that formally asks them for this favor and details some of your key accomplishments and interests (2-3 pages, max), and a sample (if they would like to see one) of a good letter. From there, your work is done. Get out of the way and don’t mess with the process. 3. You Should Do About 10% of the Work on Your Letters. Now, just to make it clear that we’re not in some utopian society where all recommendation letter writers are created equal, let’s discuss quality. Is there a disparity between a good letter and a great one? Yes, absolutely. A great letter is well written, provides specific examples of discussed traits, offers context for its remarks, and – best of all – establishes a baseline from which to assess this one person (“in all my years on Wall Street, during which I have encountered hundreds of MBA candidates, Timmy is the best…”). However (and this is a key point! ), the same disparity does not exist between the value of a great letter versus a good one. Great letters don’t pull victory from the jaws of defeat and magically make your ding an admit, so the marginal utility of a “great” letter is somewhere between zero and “not much.” Sure, there are cases of amazing letters playing a big role, but that is unpredictable and rare, meaning you don’t build your application strategy around it. More to the point, the downside of a manipulated letter is that you can get denied – either on ethical grounds or because the reader simply has no way to validate previous findings (which is their entire objective in reviewing them). Remember: if the role you play in your own letters of recommendation is greater than 10%, you will not only fail to gain an advantage, you create a great possibility that you will shoot yourself in the foot. Engaging in this process beyond 10% of the work is basically minimal upside, big downside. If you can take this tip to heart, you will create less stress for everyone involved and allow the letters of recommendation to serve the very basic function they are intended for. 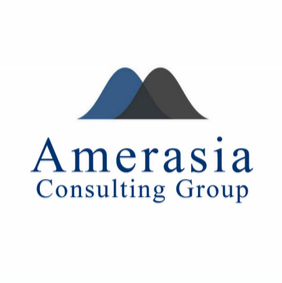 If you are interested in the MBA Admissions Consulting services offered by Amerasia, please email mba@amerasiaconsulting.com to inquire about setting up a free consultation. If you want to answer that with a resounding “yes,” then you need to tune in to our upcoming webinar, The Accepted Guide to Harvard Business School. Reserve your spot for Get Accepted to Harvard Business School now! This article originally appeared on blog.accepted.com, the official blog of Accepted.com. Now, in one way, the Warriors actually solidify the very perception of leadership I was just talking about, in the form of NBA MVP Steph Curry. He's the best player on the team and you often hear that he "sets the example" and he's a "great leader." And I actually believe that he is - both because of his talent (and therefore his platform), but also because he seems to have innate leadership gifts like servanthood, empathy, compassion, listening, consensus building and so forth. So in a way, the Warriors don't tell us anything new. Except that it appears, from many accounts, that one of the most crucial leaders on that team is NOT the best player Steph Curry, or the most veteran player or the most tenured player or the highest paid player ... but rather just A player. That player is Draymond Green, a guy who stepped up and started leading the minute he got there, as a rookie who was a second-round pick (i.e, barely expected to make the roster), and who hasn't stopped leading. Why? Because he has innate leadership qualities. Put another way: he is a born leader. - “You could tell right then he had something in him. It was impressive." Ladies and gents, when schools say they are looking for leaders, THIS is often what they are talking about. Not leading a team of five and beating a project deadline. Not giving a great speech. Not being appointed or awarded a title. They are talking about innate abilities, things inside of you, and that make you special ... and that maximize success ("winning"). So when you examine your strengths and weaknesses, don't just think "yeah, I've had leadership roles, people have looked to me, I'm good" - dig deeper and ask yourself if you have innate, special qualities. And then advertise those. And if you don't? That's okay too, because not everyone is a born leader and even the most "leadership" of schools like HBS would say that the world needs a blend of Draymond Greens and other types of players. Some people are implementers or connectors. You don't have to base your entire story on leadership if that's not who you are. But if you DO go all-in on leadership, make sure to consider just what that might mean. And then be honest with yourself, read those quotes, and ask: could someone say that about me? If you are looking for help with your MBA application or your story, please shoot us an email at mba@amerasiaconsulting.com or visit us at www.amerasiaconsulting.com/contact. You have just a couple days until our webinar, Get Accepted to Harvard Business School, airs live. If you plan on applying to Harvard Business School or another top-tier MBA program, then you’ll want to make sure you catch the important advice that Linda will cover in Get Accepted to Harvard Business School. ​​This article originally appeared on blog.accepted.com, the official blog of Accepted.com. Or at least, stop doing it without a professional by your side. Let's dive into the 4 Rules of Differentiation before someone gets hurt. Rule #1 - Do not "differentiate yourself" with a panicked career change. [/b]Throwing a Hail Mary at the last second is not a good idea. Trying to scramble to a cooler or sexier or "more noble" company is not going to make you stand out as a candidate - it's going to make you look directionless or (worse) fake. Now, some people change jobs (even right before applying) and that is fine, as long as there is a logical reason for it - ranging from "I hate my current job and may walk into traffic unless I leave it" to "this is a unique opportunity that I have to take." However, don't change just to change under some faulty logic that they are going to see "Adam Hoff, SpaceX" rather than "Adam Hoff, J.P. Morgan" and start doing backflips. If there is no logical reason to go work at SpaceX, then don't go work there. They look at your whole resume - and mainly to see what skills you have, not what brands you racked up - so it's not like changing the "current employer" line is going to change the formula for who you are. This is all risk, no reward. Would you do anything else in your life that is "all risk, no reward"? I am guessing not. Rule #2 - Listing a hard job to get as your short-term goal is not "differentiating." If you only read one rule, read this one. Please! Read it again. Done? Read it again. Okay, you get the point. I have heard many, many times this year the idea from candidates that they want to pick post-MBA job X or Y because it will help "differentiate" them. In basically every case, the job in question is somewhere between "insanely hard" and "impossible" to get after graduating from business school. I'm talking hedge funds, VC, luxury retail, etc. I've even heard the quote, "What I really want to do is work in management consulting so I can really see what works and what doesn't and build towards my dream of starting company Z - but I feel like everyone puts management consulting so I want to find something else." Well, yeah, everyone puts it because management consulting firms hire lots of MBA grads. And they do that because they need talent and energy to feed an "up or out" machine - and the reason that grads take those jobs is because they can indeed learn what works and what doesn't as they make some good money and build towards the next step. It's a win for both parties ... so if that is what you want to do and it makes sense, why fight it? Either way, the worst thing to do is list a job you pretty much can't get, all in some misguided attempt to stand out. You will stand out alright -for your cratering effect on their employment stats. Insta-ding. Rule #3 - The "quick and easy" place to differentiate is in the WHY of your long-term career goal. I have probably written more about MBA career goals than any subject on earth, so I won't belabor the point now, except to say that you can use your long-term goal to share parts of yourself that are deeply held, introspective, and unique. That's how you differentiate yourself. Not "hey, look at how I left Goldman to go work at an oil company for no reason" and not "all these other guys may want to take the slam dunk of management consulting, but I want a c-suite job at Prada!" - no, it's "what I want to do for the rest of my life is X, and the reason is [something that is unique and specific to you.] That is how you do it. If you need a mental shifting device, try this: most admissions officers would much rather read a great novel or watch a great TV show than hear a business pitch or dial up a TED Talk. Don't try to stand out ("differentiate") with your ambition, win them with your humanity. Rule #4 - The real, pure way to differentiate yourself is to do the app right. Do you know how many people submit truly great apps? No joke, my guess from what I've seen is about 1% of the applicant pool. I'm talking about: 1) a strong baseline profile (3.3 and above, 700 and above, solid impact in the workplace), 2) a really good resume (a sales document that advertises that impact in different contexts), 3) essays that are easy to read, 4) essays that are structured correctly, 5) essays with thesis statements, 6) essays that are introspective (see Rule #3), and 7) essays that nail the DNA of the school in question. If you check all seven boxes, you just differentiated yourself. Rather than searching for some magic bullet, just do a really good job. If you had to read dozens of files each day and only a few were really good, you'd be pumped when you read the handful that were. I know, it's boring, but there you have it. If you need help differentiating yourself in a way that does good rather than harm to your app, email us at mba@amerasiaconsulting.com. You aren't going to hear buzz words or lame gimmicks, just a breakdown of the hard, steady work required for a great app. The latest intake GMAT score is 650 in the table. Is this correct? If you’re aiming to attend Harvard Business School in 2016, then you'll want to check out our recent webinar, Get Accepted to Harvard Business School. In her presentation, Linda Abraham, CEO & Founder of Accepted.com, offers important advice on how to gain a competitive edge to a top b-school in general, and Harvard Business School in particular. View Get Accepted to Harvard Business School now! Harvard is one of the few top business where if you have a GREAT story your grades and GMAT score won't be weighed so heavily. That being said, the higher your GPA and GMAT, the better. Make good use of your essays, the matter a lot! All top schools know what the essay question for other top schools is, so they WILL know if you are "recycling" from other essays. If they notice this on your application, it sends the message your are not that serious about Harvard so be careful. Something that helped me writing my essays was having a better understanding of my skills and traits. There are several online assessments you can take for free, i'd invest the half an hour. It will give you a break from studying writing and inspire you with many ideas. I am planning to apply to R1. My GMAT will be somewhere in August. Do you think one month is enough to finalize an essay? All HBS and Stanford applicants note that GMAT Club has organized Live Chat sessions with HBS and Stanford graduates. This is a great opportunity for all applicants to learn from their experiences and get insider information on how to get accepted to these two most coveted MBA programs. Add these events to your Google calendar and do come for the chat. Timing of the Session: 9.00 AM Pacific Daylight Time. I have added these chats to my calendar but where exactly does one have to go to experience them. Can you provide the link of the webinar/chat room. Thanks. Chat room link is displayed on home page of website. See the screenshot below. Alice Zheng, HBS 14. - Alice graduated from the University of Michigan with a BS in biochemistry and MPH in global health, with a focus on maternal health in East Africa. She worked in reproductive health in China for 2 years prior to attending the University of Michigan Medical School on a full merit scholarship. During medical school, she became interested in the intersection between business and medicine and completed an MBA at Harvard Business School with a summer internship at McKinsey in San Francisco. She is currently completing one year of residency in Internal Medicine at the Mount Sinai St. Luke’s and Roosevelt Hospitals and will rejoin McKinsey afterwards. Participating Stanford Graduate: Richa Gupta, Stanford 15. Will you be posting the HBS chat transcript, or if you have already posted it, could you please post a link to it? Posting here recording of recent HBS webinar by Accepted.com. Visit www.mbaadmit.com for our current discounts! Many candidates ask whether the GMAT score sometimes functions as a “first-cut metric,” a term we coined here at MBA Admit.com. The answer, unfortunately, is yes. Your GMAT score is one of the factors that top MBA programs use to simply cut an application without giving it serious consideration, regardless of how wonderful the overall candidacy might be. Generally, if your score is not above the 500s, you are risking that your GMAT score is going to bring you an automatic rejection at the very top U.S. business schools. Once you are in the 600s, whether you will be cut based on a GMAT score is a matter of your profile and the overall strength of your candidacy. But, some candidates who come from the most competitive profiles, like Indian foreign national male engineers, often need to be above the 710 mark to be competitive at the Top-5 MBA programs. Take a good look at the average or median GMAT score for the top MBA programs to which you intend to apply to determine whether your GMAT score is an asset or potentially puts you at risk. GMAT scores are very important, so invest time in studying, practicing, and if necessary, taking a structured course in order to improve your score to a level where it can keep you competitive. 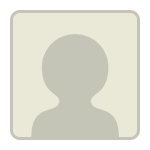 For a free Profile Evaluation, fill out the profile evaluation form on our homepage at http://mbaadmit.com.